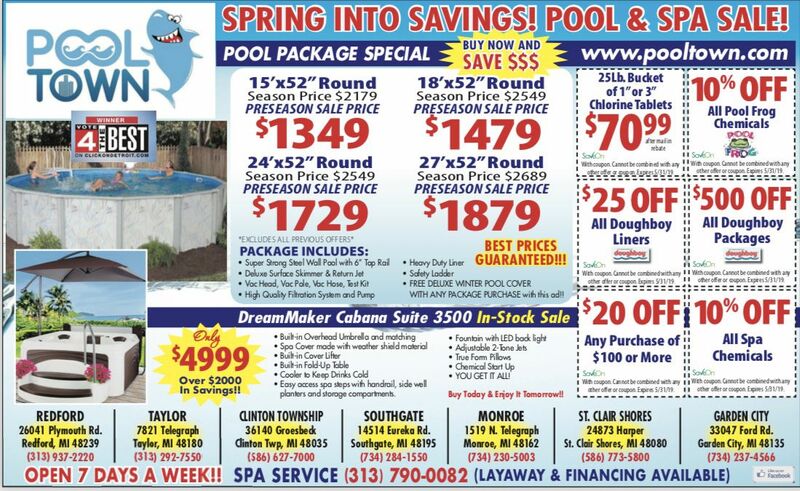 Spring Into Savings Pool & Spa Sale!! How do you rehab? 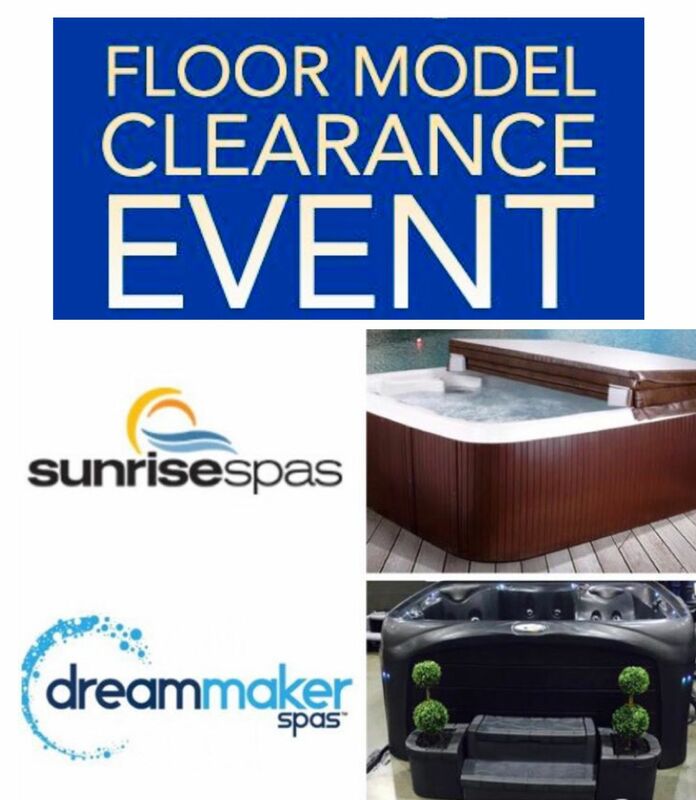 We do it in a SunRise or DreamMaker Spa!! Professional sports organizations, trainers and therapists all recommend hot tub therapy to help with the rehabilitation process from sports injuries. Using a spa for rehabilitation helps to speed up the recovery time of an injury so the sports player can get back to the game sooner. 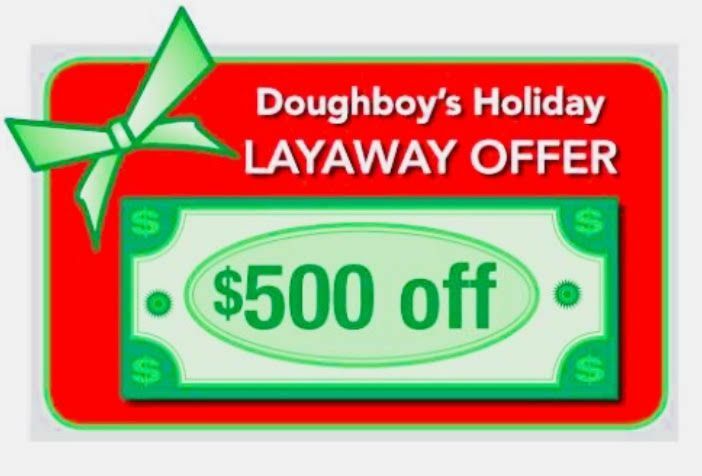 Purchase your Doughboy Pool for the Holidays and get $500 Off Layaway!! Click Here to View and Register Your Offer for FREE! 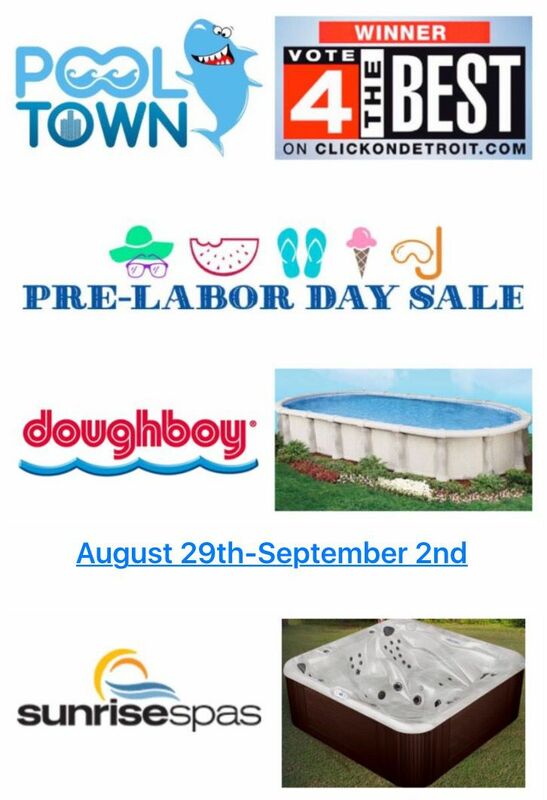 Why A Doughboy Pool Liner Is A Wise Investment? Don't Get Tricked By The Competition!! 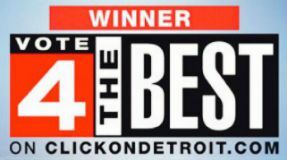 Book your Spring Doughboy liner replacement early by contacting our Service Department (313)790-3729! 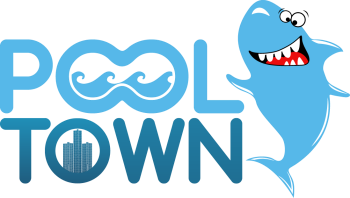 Did you know that PoolTown is the only local company carrying a TRUE 20 MIL or 25 MIL swimming pool liner for your AboveGround Pool? Don't get tricked by the competition into thinking that their 20 or 25 gauge liner is equal to 20 or 25 MIL. We've already been hearing from customers in our retail stores this Spring that the competition is stating that their 20 gauge liner is the same as a Doughboy. THIS COULDN'T BE FARTHER FROM THE TRUTH!! A 20 gauge liner measures at approximately 12 MIL and a 25 gauge liner measures approximately 16MIL. Our liners are 40%-80% heavier in both weight and thickness than the competition. 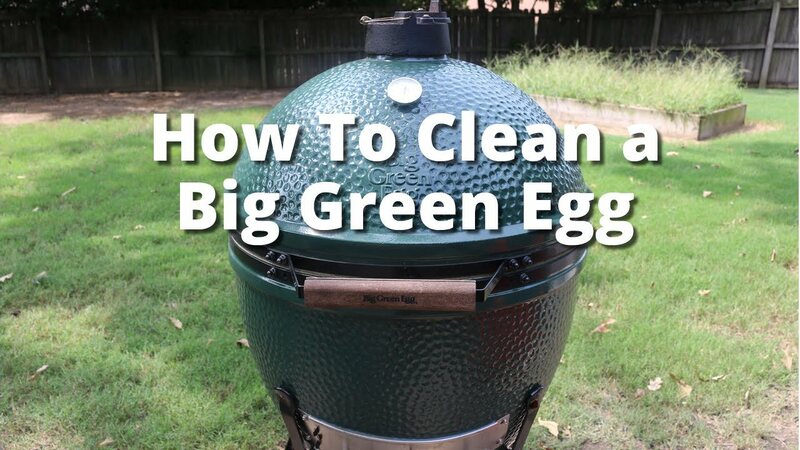 Cleaning your Big Green Egg is something that every EggHead must do from time to time. Every time you use your grill, the ash falls to the bottom of the Egg and into the holes in the Fire Box, restricting the airflow. 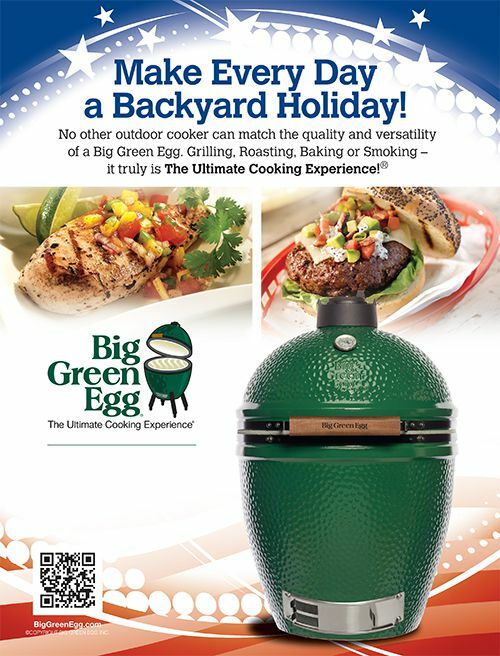 Having good airflow is essential for the Big Green Egg to maintain constant temperatures and burn charcoal efficiently. If you're having a hard time getting your Egg to high temperatures for searing steaks or having trouble maintaining constant temperatures over long cooks, you may need to clean out your Egg. No no no, I don’t mean just cleaning the ash out of the bottom of the egg, I mean taking apart the Egg and reallllllly cleaning it. Don’t be scared, it’s not that difficult. 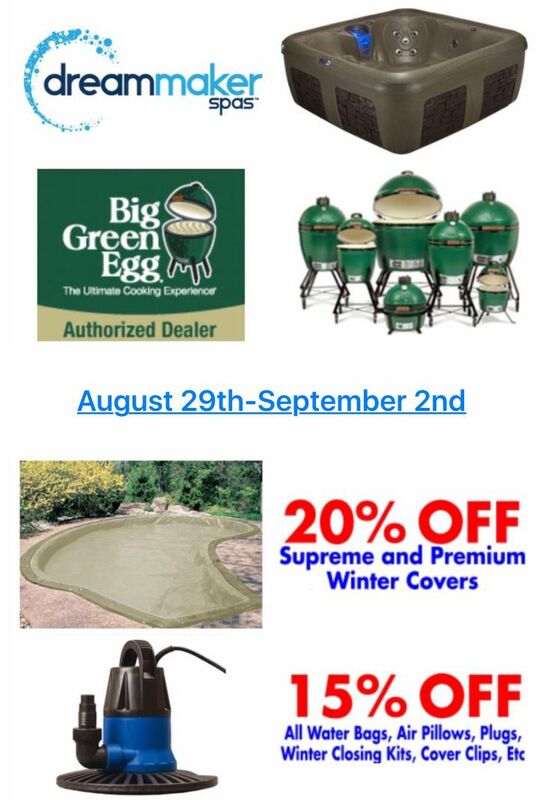 Stop in this weekend (July 1st-July 4th)and SAVE an additional 10% on all of our in stock Big Green Egg bundle packages.